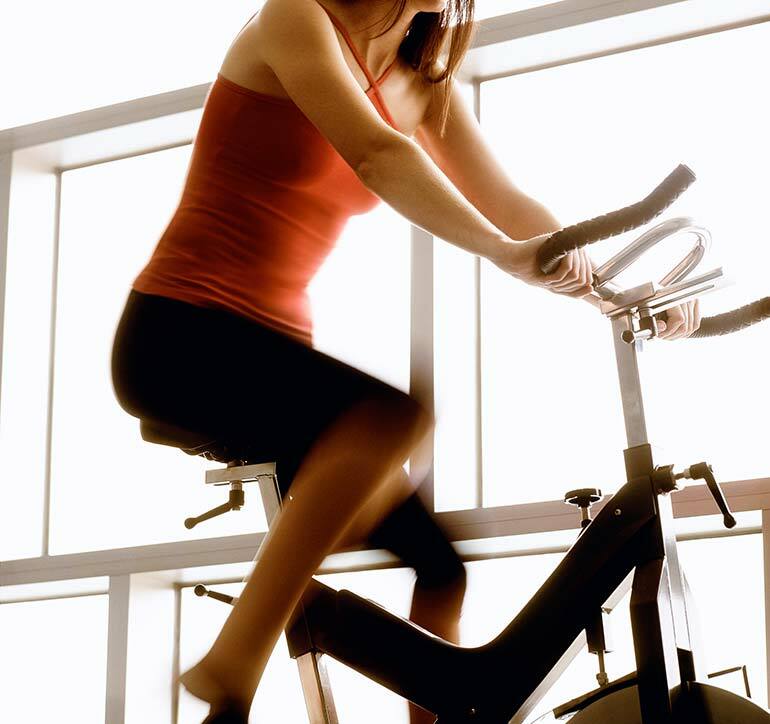 Get the most from your workouts by following these handy tips! See how to set up your bike, next. 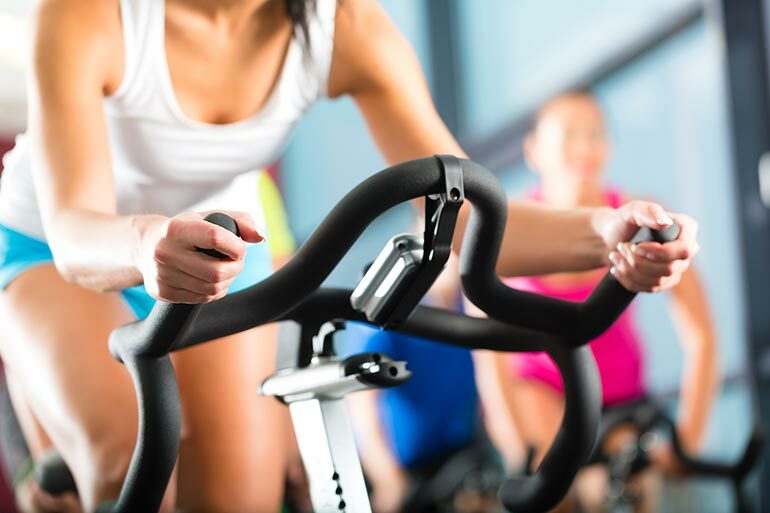 Also, a lot of exercise bikes are fitted with a wide saddle and wide saddles can place pressure on the tendons on the upper inside of your thighs which can become very uncomfortable over time. A wide saddle may look like it is going to be comfortable and initially probably will be but while it takes a while to get used to a narrower saddle, they are usually better in the long run. If you intend to buy your own stationary bike and use it a lot, consider fitting a narrower saddle. 3. Because there is no air flow, something you get when you ride a bike outdoors, it can get very hot and sweaty on a stationary bike. Place a towel under your bike to catch the inevitable sweat deluge and have a towel handy to mop your face during your workout. See troubleshooting – how to avoid numbness and discomfort next. HAND PAIN: You have too much weight on your hands – the likely cause it your handlebars are too low. Raise your handlebars and consider wearing padded cycling gloves or, if it’s your bike, using padded handlebar tape.